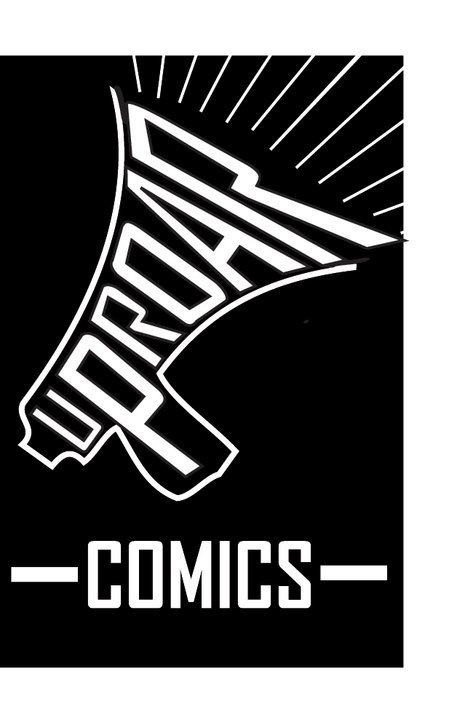 Uproar Comics are a comics publishers from Northern Island. 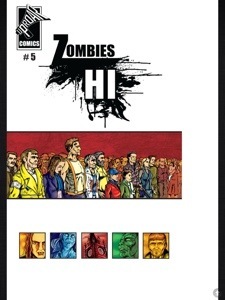 Their spotlight is Zombie Hi, which at the time of writing is up to it’s seventh issue and I’ve just found them. 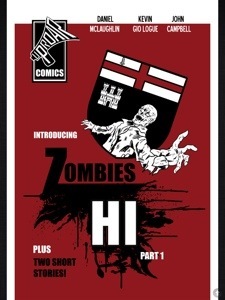 Zombie Hi is available in print from selected stores and digitally from their website – get more details at the bottom of the review. 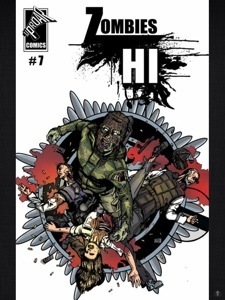 So lets have a look what we’ve got over the seven issues! 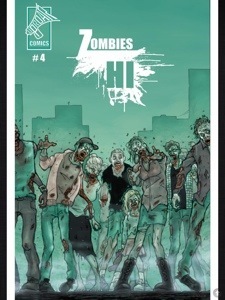 What we get are seven issues (so far) of zombie action – with no sign of slowing down. 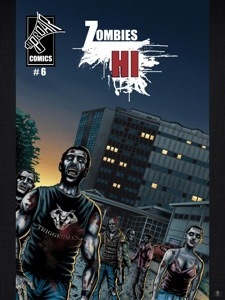 The headline story of Zombie Hi is moving through the characters and is characteristic of the people and area of what is written. We’re getting politics – internal and external, old and new. New characters, flashbacks and more. What is being built here is a mini universe in such a claustrophobic place! 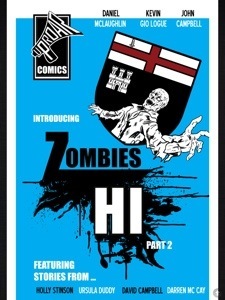 Dotted throughout the issues are pieces of prose – usually set in the same world as Zombie Hi. These pieces are often written in the first people and add a lot of humanity to the world in which it is set. Sometimes these are written in the form of a diary or letter. Special mention must be made at this point for the covers – each are distinctive and have their own feel to them I like a cover which stands out when you’re looking at it. All these covers stand out and look great. After the prose and the main story – each issue has a number of short stories , which all have their own setting. In recent issues some of them seem to be more than one part, so we shall see where they go. 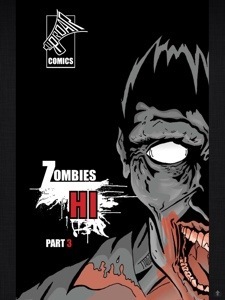 I have to admit – I’m not one for Zombie comics, but I have found myself getting pulled into this universe, the whole set up is excellent, and I would recommend this to any horror fan. You can pick one up, either hard copy or digital, from the online Uproar Store, or from their stockists across the UK and Ireland. IDW Publishing: Star Trek: Countdown to Darkness is now available for pre-order on the iBookstore!